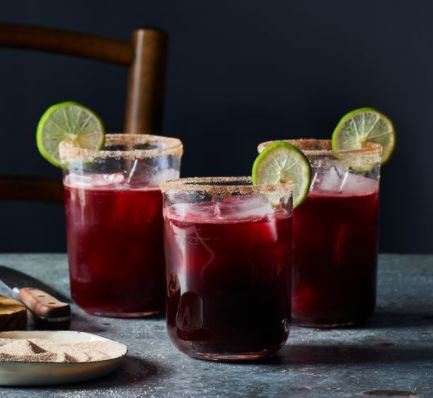 Winter Hibiscus Margarita – Drink. Food. Home. This recipe came from one of my favorite foodie websites Food52. 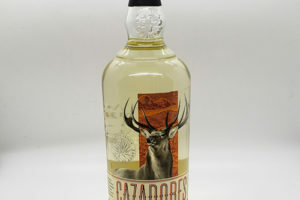 I also happen to love Cazadores Reposado, so I had to share the recipe. Now if you are looking to keep sugar on the low side, you can replace the sugar with this amazing sugar substitute Erythritol. It’s a naturally occurring sugar alcohol derived from corn and is naturally found in small amounts in various plants. 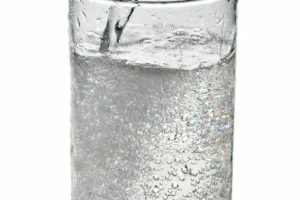 It contains virtually no calories, has a low glycemic impact, and doesn’t contribute to tooth decay. I have already tried it a few recipes and it works great and reduces the guilt! For the pureed hibiscus, bring 4 cups water, 2 cups of dry hibiscus flowers, and 2 cups of sugar (or Erythritol) to a boil. Remove from heat, strain and the hibiscus syrup is ready to use. In a cocktail shaker combine all the ingredients with ice and shake vigorously. Coat the rim of a margarita glass in cinnamon sugar. 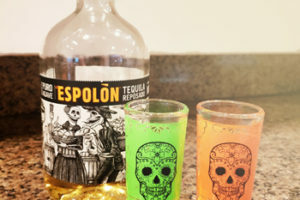 Serve cocktail over ice and garnish with a lime wheel.